Plantronics has accidentally unveiled their new GameCon headphones through a leaked slideshow presentation. The new Plantronics GameCon 780 are equipped with 7.1 surround sound with Dolby Headphone and Pro Logic IIx technology. The Plantronics GameCon 780 headphones have been designed for pro gamers and their 40mm driver can be swivelled to go flat for easy transportation when required. 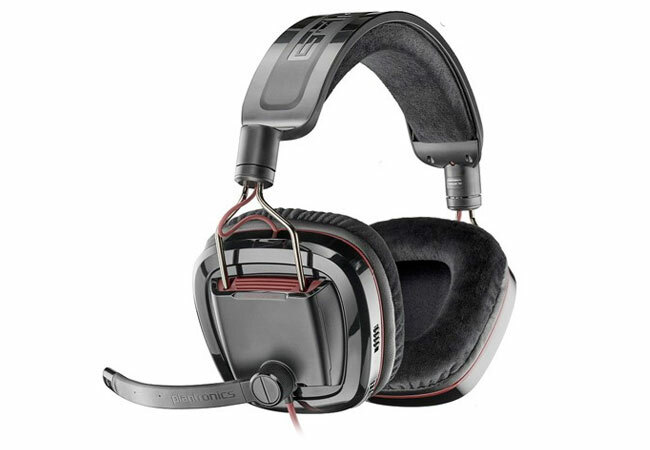 The Plantronics GameCon 780 headphones also come supplied with a 6.4 foot or 2m USb cable, together with a noise cancelling microphone, for in game communications, and a handy on-ear volume control and mute switch. Unfortunately no information on pricing or worldwide availability, but wWhen released the Plantronics GameCon 780 headphones will only support Windows.